A huge search has been mounted to find an elderly dog who bolted after being spooked by fireworks on November 15. 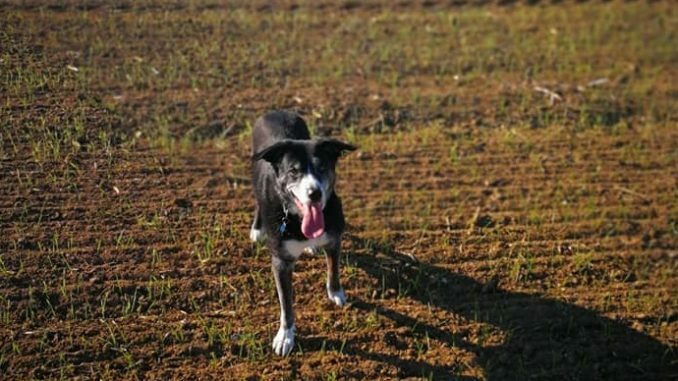 Stanley, who is a 13-year-old collie cross, was last seen near Thanet Earth in Seamark Road after running off down the dual carriageway from Minster to Monkton. There have been no sightings since. The black and white collie is hard of hearing and has an incorrect address on his chip. Laura Sullivan, from the Missing Dogs and Strays in Thanet group which has volunteers searching for Stanley, said: “We need to get him home safe as he is an older boy who needs a warm bed and comfort. “Can people please keep a look out for Stanley in case he has made his way across any of the fields. Stanley’s owner Emily Matthews has now undertaken a leafleting campaign to help the search. If you see Stanley call Emily on 07793464622.